§B in memory of Jarl, their good father, and made the bridge as thanks to God. 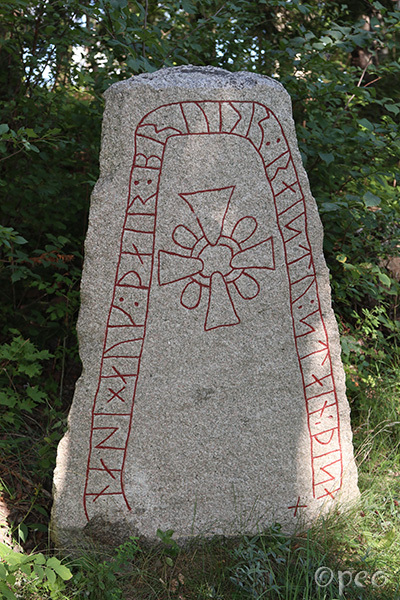 The rune stone is standing in a private garden just north of Storvreta. Point at the photo to see the §B-side.